A turn key, user friendly control system custom built for any project. You will be shipped the Matrix and the control "Brain"
Stop spending time setting up a control system you don’t understand. 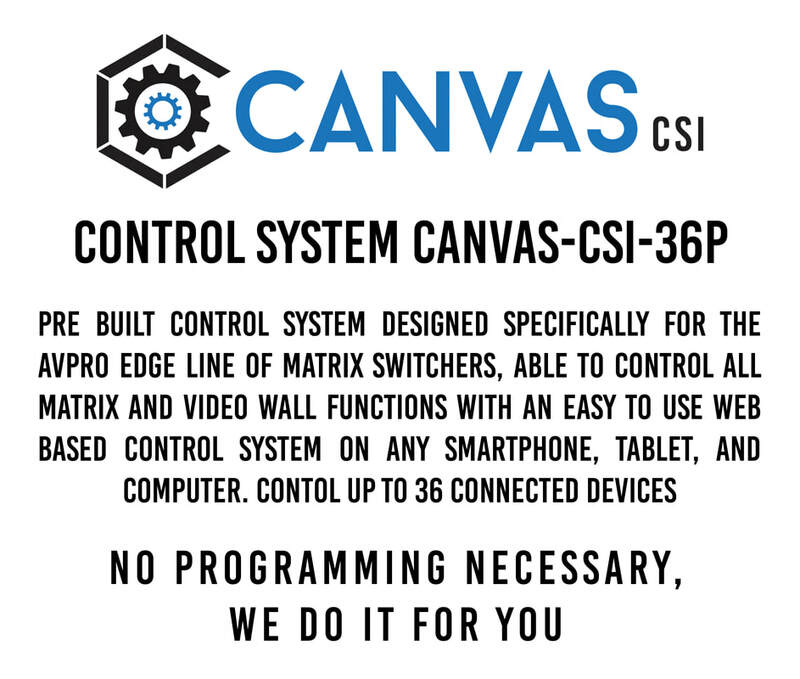 AVPro Edge offers an all-in-one solution with this CanvasCSI control system. This is the ideal solution for restaurants, sports bars, classrooms, and everything in between. Our turn-key solution is unlike any other. We’ve done the programming for you to provide your clients with a full featured, state-of-the-art control system. 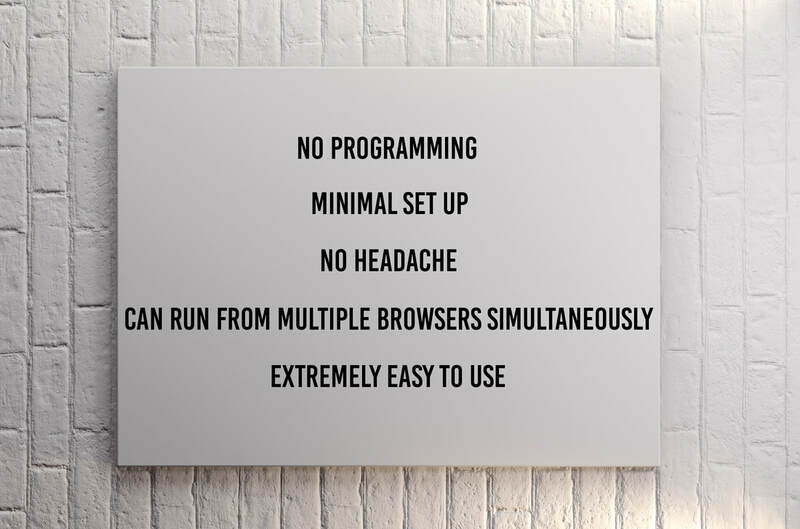 Setting up your complete system is as simple as installing your Matrix Switcher, connecting your displays and downloading visiting a specific IP address. Sign in with your custom CanvasCSI log-in, and you and your client are ready to go. Visually Interactive Buttons and Graphics: Take out the guess work. You will know your matrix settings at all times. Complete Video Switching Matrix: Choose any combination of inputs and outputs right from the screen of your smart device. Fast and Efficient System Response: Use existing Wireless LAN infrastructures without needing additional communication gear.